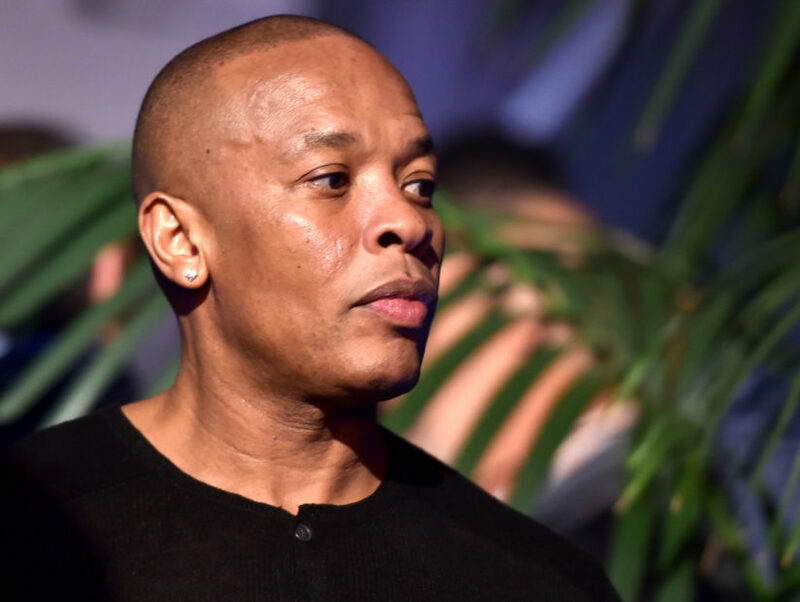 Los Angeles, CA – Dr. Dre was evidently so proud of his daughter’s academic achievements he couldn’t help himself from throwing a light jab at the recent college admissions cheating scandal. 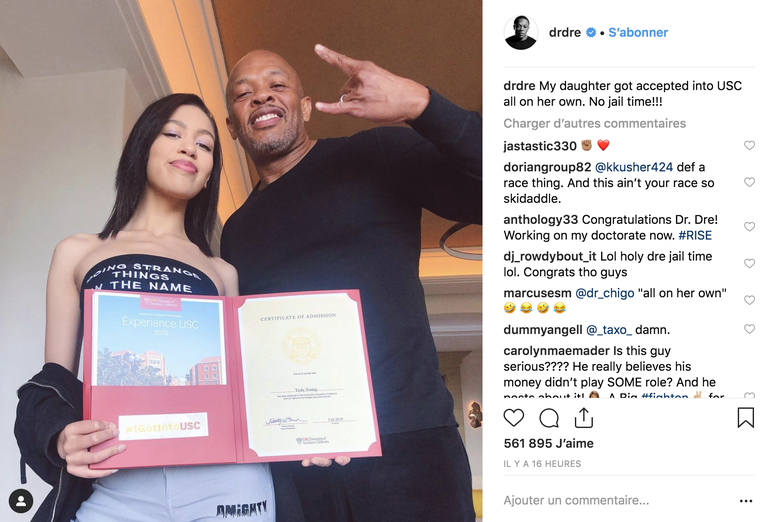 On Saturday (March 23), the Aftermath Entertainment mogul shared an Instagram photo of himself and daughter Truly Young showing off her acceptance letter to the University of Southern California, the same school at the center of the controversy. It didn’t take long for commenters to point out Dre and record executive Jimmy Iovine donated $70 million to USC in 2013. Their donation established the USC Jimmy Iovine and Andre Young Academy for Arts, Technology and the Business of Innovation. If Young decides to enroll, she will attend a school where her father has a building named after him. Although the N.W.A legend didn’t confirm why, he did ultimately remove the post on Sunday (March 24). Dre’s “no jail time” slight appears to be a reference to the parents, including Full House actress Lori Loughlin, who were indicted in the FBI college admissions case. Loughlin was arrested for allegedly paying $500,000 to make it appear both girls had been coxswain recruits for the rowing team to guarantee their admission to the university. She was released on a $1 million bond and will head back to court on April 3.